In May 2010, I met Margaret Lim, a Malaysian-born Canadian children’s book author, while we were waiting to be made-up for our TV appearance on Kuppa Kopi, a talk show with Sharnaz Saberi. We exchanged books; in fact she generously gave me all four of her Payah books. She autographed them for my two children Jason and Justin. Afterwards we went out for tea. Her son asked me to give her a ride while he picked up another friend and the four of us spend the afternoon getting to know each other while talking about books and blogs and exchanged tips about Sarawak. Later, while watching myself and Margaret Lim on TV1 (her segment followed mine), my son Jason, who was six at the time, pointed to the TV screen at Margaret Lim’s children book series about Payah, and said, “Daddy, that’s my book!” He called over Justin, who was three and a half, and they both stood in front of the TV, excitedly pointing at their four newest books. He studied her with awe. I’m sure he’s going to remember Margaret Lim and that moment for a long time. But me, I’m just his daddy who happens to be a writer, though I was also on TV—not that he gave a hoot! In fact he and Justin were both upset with me for changing the channel until he noticed Margaret Lim’s books were on TV. The power of books! The following May, I was sad to hear that Margaret Lim Hui Lian had passed away from cancer. Although we had kept in contact via email and commented on each other’s blogs, I never saw her again. 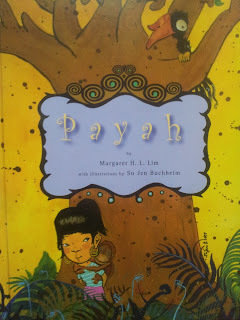 Her Payah series, however, still live on in our house. In fact, I made this past week Margaret Lim week! I had Justin, now ten, reread the books (he’s the reader in the family and had read them before, even though they were meant for child­ren age 12 and above). I then had Jason, who turned thirteen, read all four of the books to me while I drove him to school (he’s now in Form One, attending the afternoon session), while I reread all four waiting for a couple of doctor’s appointments—I was glad I had them in the car! I had also read them to the children seven years ago. 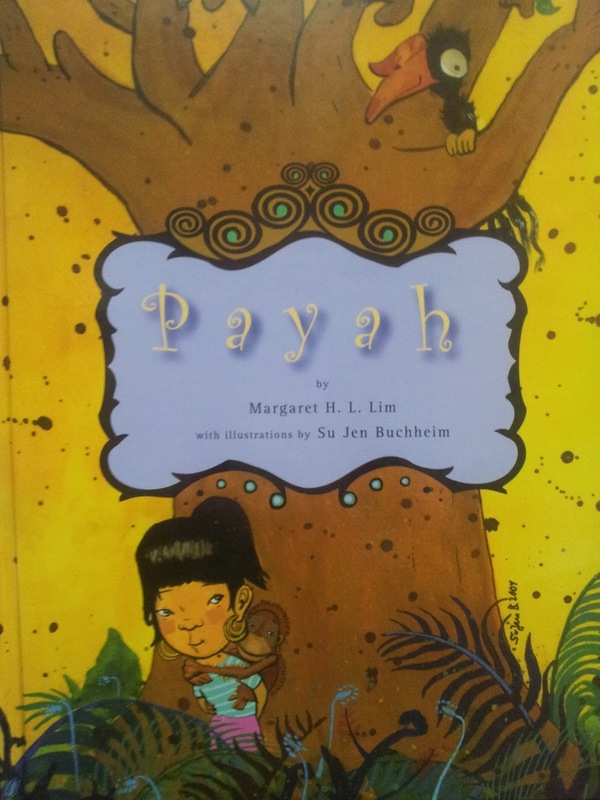 The Payah series, consisting of four hard bound books, were based on recollections of Margaret’s childhood, which she spent with the native people deep in the interior of Sarawak on the Island of Borneo. The books were beautifully il­lustrated by her daughter Su Jen Buchheim and published by her own company Fairy Bird Children's Books, where I believe they can still be ordered. *Here is an updated website created in the memory of Margaret H.L. Lim, called Maggie’s Books and Recipes. this is Margaret's son, Einhard. Hope you and your family are doing well. Thank you for your blog post about our mom. It's great to know that Margaret has touched and inspired lives, and that people are still remembering her. The website http://margaretlim.webs.com/ is going to expire soon, but I am building a new one on a different webhost. I will post the link to the new site here when it goes live. Good to hear from you! Every time I see her books I think of your mother. She made a nice, warm first impression. I immediately liked her and was touched by her generosity. Glad to repay the favor with a small tribute. Feel free to link it to the new website. Donated 80% of our children books but kept hers, a gift we still treasure! All the best!